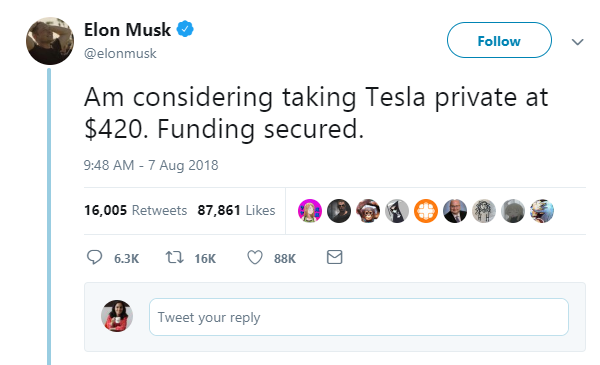 As per SEC, Musks statements violate the 1934 Securities Exchange Act, and that Musk knew or was reckless in not knowing that his tweets about taking Tesla private were not accurate and true. 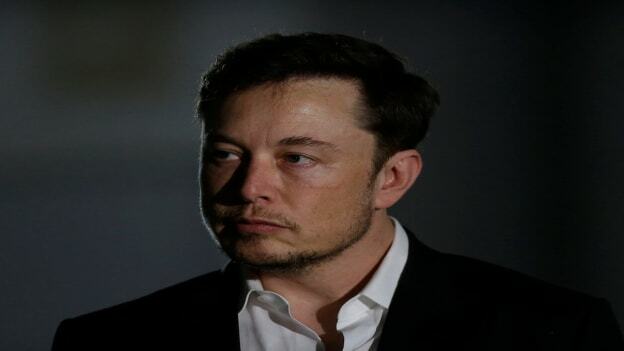 Taking Tesla chief executive Elon Musk to task for his tweeting habit, the U.S. Securities and Exchange Commission filed a lawsuit yesterday that accuses him of making “false and misleading” statements on Twitter about his plans for taking Tesla private. It may be recalled that in August, Musk tweeted about taking his electric car manufacturer private. As per SEC, Musk’s statements violate the 1934 Securities Exchange Act, and that Musk “knew or was reckless in not knowing” that his tweets were not accurate and true. In a press conference discussing the lawsuit, Stephanie Avakian, co-director of the SEC’s Enforcement Division, said Musk’s tweets led investors to think it was a “virtual certainty” that Tesla would be taken private at $420 a share. The SEC says that those statements weren’t accurate. “In truth and in fact, Musk had not even discussed, much less confirmed, key deal terms, including price, with any potential funding source,” the complaint said. Musk, the SEC alleged, “knew or was reckless in not knowing” that his tweets weren’t in fact true. This added to an earlier statement released by Tesla in which Musk said he was “saddened and disappointed” by the SEC charges. This action by SEC adds to Tesla’s mounting troubles. Incidentally, Musk is also being sued by a major short seller Andrew Left of Citron Research in a class action lawsuit for his tweets about taking Tesla private. The SEC is also seeking to bar Musk from serving as an officer or director of any US public company.